A Massachussets man is appealing the dismissal of a $400 billion lawsuit against Jon Bon Jovi because he claims the rock singer stole a song he wrote in 2004. 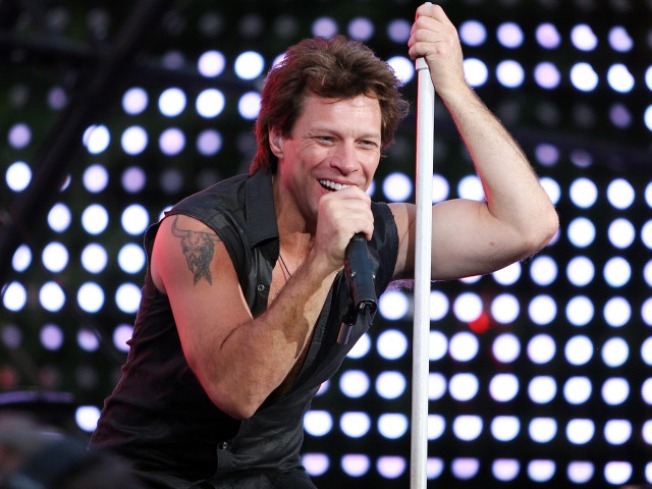 A Massachussets man is appealing the dismissal of a $400 billion lawsuit against Jon Bon Jovi, Time Warner and Major League Baseball because he claims they stole his song, Reuters reports. In 2004, Samuel Bartley Steele was a man on a mission. He wrote a country-style song titled "(Man I Really) Love This Team," an ode to the Boston Red Sox. His plan was to send copies of his song to the MLB, marketing the country song as a way to entice a broader audience into watching the sport. In 2007, however, Bon Jovi released the similarly-titled "I Love This Town." Bon Jovi's song was then chosen to promote playoff baseball on Time Warner's TBS television station. Steele says Bon Jovi must have heard his song while campaigning with John Kerry through Boston in 2004 or a MLB employee must have passed a recording of the song on to him. When the suit went to court, Steele's own witness, a musicologist, testified that the songs weren't similar at all. A district judge dismissed the case, ruling that "no reasonable jury could conclude there was substantial similarity between the songs." That one little dismissal didn't stop Steele. He requested an appeal of the decision just last week.